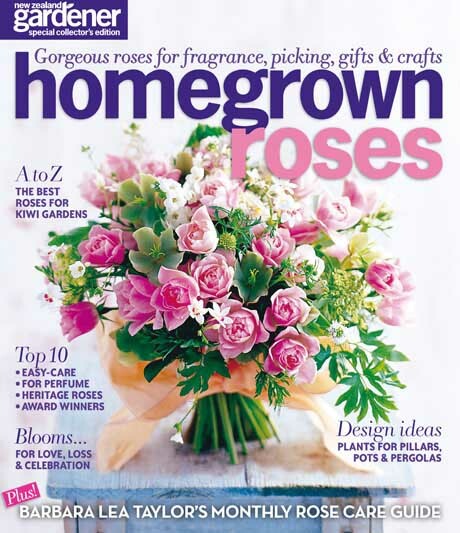 The latest special collector’s edition from NZ Gardener magazine, Homegrown Roses, hits the shelves on March 12, 2012. And what a beauty it is! It’s packed full of all things rosy, from the joy of picking your own scented blooms to no-nonsense know-how on planting, picking, pruning, landscape design, recipes (yes, roses are edible!) and crafty gifts. Plus there’s a free sheet of pretty labels for homegrown gifts. 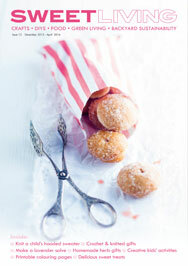 Our sister site Sweet Living has 5 copies of Homegrown Roses to give away. Head on over to Sweet Living to enter the draw. I’ve just picked up this very magazine in a waiting room and have done a google search and found your website. You don’t happen to know if this particular issue is still being produced? I can’t believe it’s 18 months old.